Jeb Bush, George W. Bush, 9/11, and the complete failure of logic. Jeb Bush in Greenville, South Carolina on Sept. 18. When Donald Trump insulted George W. Bush’s presidency during the Sept. 16 Republican presidential debate at the Reagan Library, Jeb Bush made the odd statement that 9/11 demonstrated that his brother had “kept us safe.” The Jeb campaign then emphasized the claim in a tweet, juxtaposing the phrase “kept us safe” with an image of 9/11 rubble, i.e. a visual symbol of the deadliest foreign attack ever carried out against Americans on home soil. This is entering the realm of the surreal. He’s now putting the words attacked and kept us safe in the same sentence! 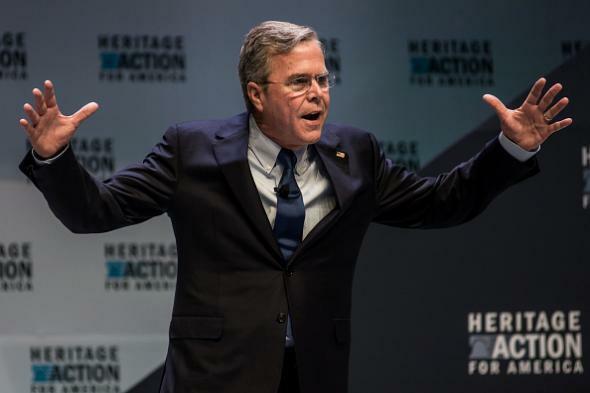 Jeb Bush is one step away from citing 9/11 as evidence that George W. Bush prevented 9/11. Jeb, what are you talking about?